The perfect accompaniment for meat or poultry. Bring water or broth to a boil in a medium saucepan; stir in couscous. Remove from heat; let stand, covered, 5 minutes. Fluff with a fork. Uncover; let cool 10 minutes. 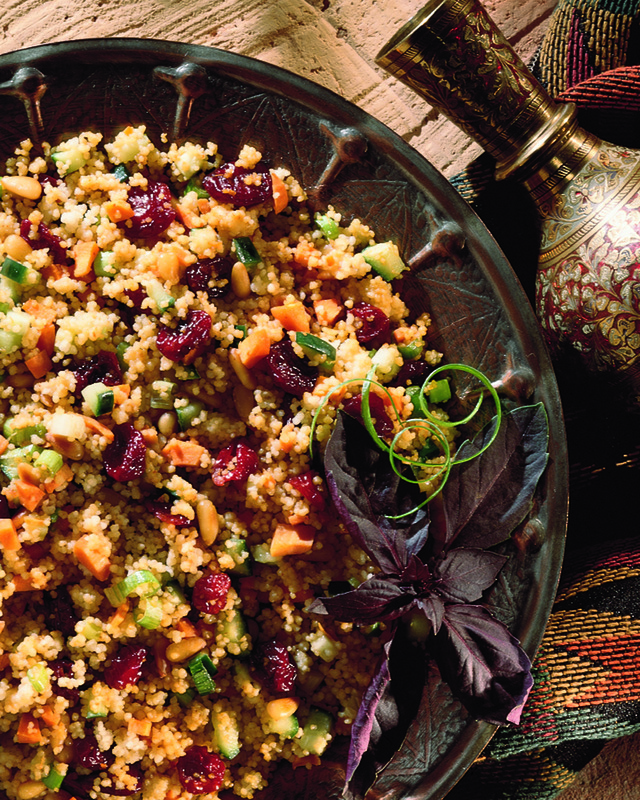 Combine cooked couscous, dried cherries, carrots, cucumber, green onions and pine nuts in a large bowl. Combine vinegar, olive oil and mustard; mix well. Pour vinegar mixture over couscous mixture; mix well. Season with salt and pepper. Serve chilled or at room temperature. Makes 4 cups; about 6 servings.